“I have always been a gym rat, love the feeling of moving heavy weights, and doing the impossible. In my spare time I like trying new recipes, especially preparing healthy alternatives to my childhood favorites like McGriddles and Big Macs. When I lived in Singapore I played FastBall and as I have a freelance business as an Industrial Designer. Around 2011, I came across CrossFit main site and was a little skeptical about the programming and put CrossFit aside. In 2012, I took my first CrossFit class, I thought I was fit, but CrossFit really humbled me. After I completed my first WOD I was dizzy, breathing fire and regretting a lot of my earlier life choices. Regardless of how I was feeling after the WOD, I was hooked and fully bought in. 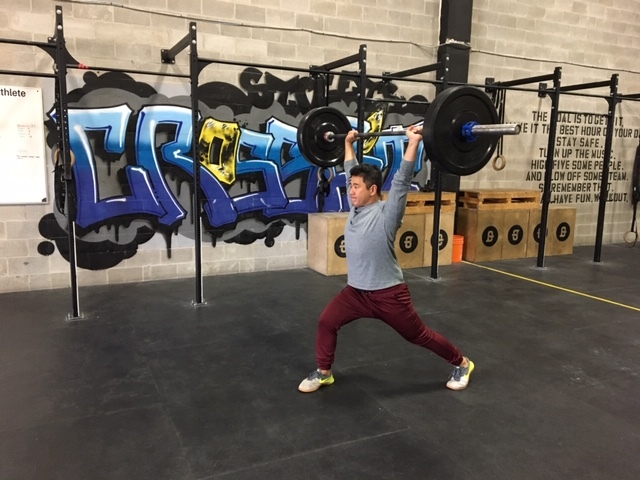 For me, the next logical step in my CrossFit journey was to take my CrossFit Level 1, I wanted to give back to the community that has given me so much and support those individuals who were like me when I first started out; shy, introverted but had a desire to change something in my life. What I look most forward to when coaching is trying to crack a smile out of individuals during a hard workout and knowing that one little tweak in technique or strategy can make their workouts that much better and enjoyable.